Addressing every objective to assist education, providing opportunities for employment, eliminating violence, ensuring food security and healthcare and aiding environmental sustainability. The global appeal supported by all four Federations, raised over £135,000; providing support directly to over 5,000 beneficiaries; the majority of whom are female, children and the elderly. Around the world, more than 2.5 billion people do not have access to power. For most of these individuals, light and power come from toxic fossil fuels such as kerosene that create greenhouse gases – CO2 being one of them. Poverty, alongside living far from the electrical grid, all account for the challenges third world country residences face when it comes to having light for visibility, purifying food and water, cooking and communication. The productive use of renewable energy in rural areas helps raise incomes and improves health, providing power to pump water for irrigation, to process crops and power cottage industries, to light homes, schools, and hospitals – all services of premier importance and immeasurable impact in the remote rural areas. With the first projects commencing in Autumn 2014, the seven projects approved included: Fiji Solar Cookers, Musasa School (Uganda), Kinyaminagha School (Uganda), Papua New Guinea – Lighting the Way, Nepal Solar Lanterns, Mali Solar Power & Cooking and Fiji Solar Lanterns. 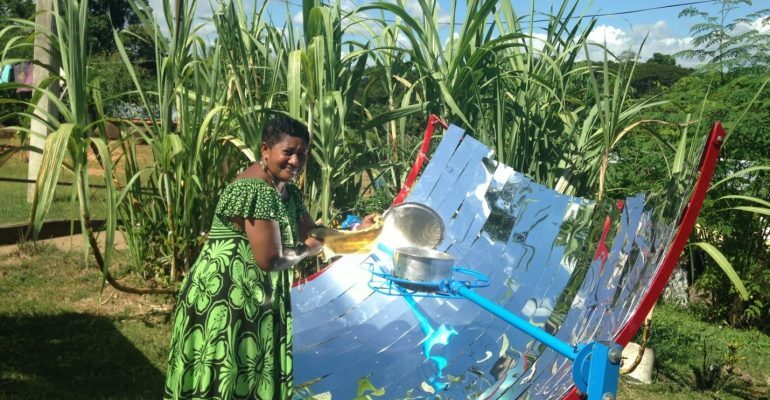 Fiji Solar Cookers was the first project to be approved with a budget of £5,000 and nine parabolic solar cookers were installed across three rural locations; two sites on the main island of Viti Levu and one on the neighbouring and smaller island of Vanua Levu; with an estimated total of 260 beneficiaries. Locations included Hart Home and Kubulau District Primary School in Bua. The school has a boarding house catering to the children of families from three surrounding villages. 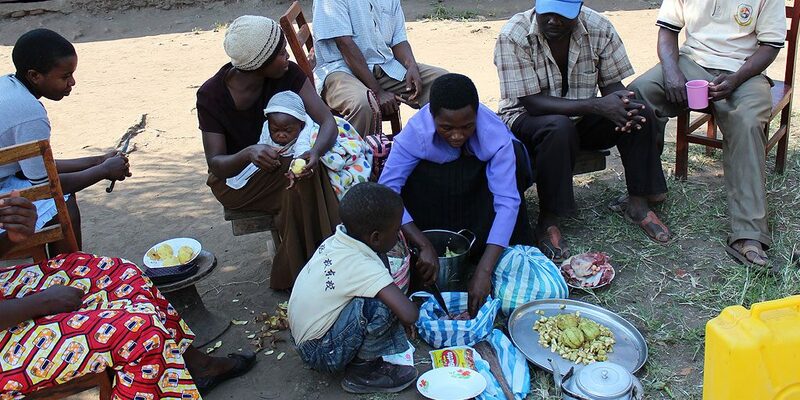 The parents from each village take turns to cook each week and are traditionally dependent on firewood for cooking in areas with poor ventilation. The residents at one of the locations, Hart Home, cooked ‘cassava’ (a root crop, staple food of Fijians) in one pot and fish in another. 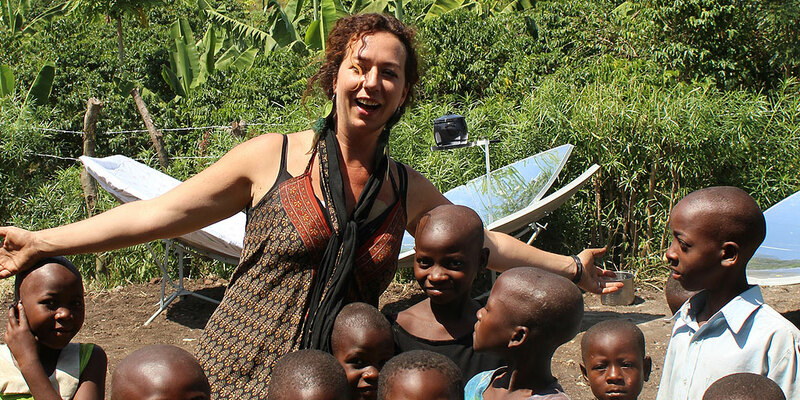 Children and women were given informal sessions on different forms of renewable energies and taught about how solar cooker works and the process of conversion. Cyclone Winston hit Fiji in February 2016 and Fiji Solar Lanterns commenced in April 2016, with a budget of £6,000 to supply 200 solar lamps to those affected by Cyclone Winston, estimated beneficiaries 800. The lanterns have been supplied to the local Soroptimist clubs for distribution where needed. Musasa School, Uganda was the second project to be approved, with 700 pupils. Commencing in November 2015 and completed in October 2016, the project had a budget of £42,000. Although the initial proposal was developed to provide solar cooking and solar lighting; the President felt that the schools would benefit enormously by considering a full range of facilities and services. The projects were therefore extended to provide laptops and a water system in addition to the solar power for lights and solar cooking. 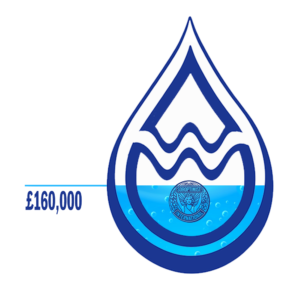 The extended project not only benefited the schools, but also the local community – a truly sustainable approach; contributing to economic, environmental and social impacts. The solar lights, computers and water system were all installed during 2015; the Solar Sun Oven was received at the school, and training took place in August 2016. Excellent feed-back has been received and although the new facilities have only been in place a short time, the Head Teacher has already reported that academic performance has increased, due to extended study hours and access to computers and the internet. No longer a need to gather water and firewood, the children have more time for their education. Following the success of the Musasa Project, a second Uganda project was approved for Kinyaminagha School, with 700 pupils. Commencing in May 2015 with a budget of £29,000 a similar approach was taken as with Musasa School. Facilities extended beyond solar cooking and solar lights to include a safe water system and computers, resulting in benefits to the wider community and the delivery of a fully sustainable approach. Papua New Guinea – Lighting the Way, commenced in June 2016 with a budget of £2,000 to supply 400 solar lanterns to an estimated 1,600 beneficiaires. This was a partnership project between SI Bayside and the Soroptimist clubs in Papua New Guinea and the lanterns were distributed in June 2015. A mother from Lecko village, Kote, said: “Thank you Soroptimists, I am not able to afford batteries every week so my children can have light to study, these solar lights lift my spirit, to see that my children can have lights every night to study”. Nepal Solar Lanterns commenced in October 2015 with a budget of £4,000 to supply 200 solar lanterns to those affected by the earthquake, an estimated 800 beneficiaries. Access to affected rural villages is very restricted, compounded further by a lack of fuel putting additional pressure on distribution channels. In a collaboration between local Soroptimists and Digdarsan Nepal, 82 solar lights were distributed in quake-hit Dandagaun Village – Sivapuri National Park of Kathmandu District; 50 solar lights to Qunatol Village – Sivapuri National Park of Kathmandu District; 10 solar lanterns for the small village of Bandeli – Sivapuri National Park of Kathmandu District; 57 solar lights to Pangreter village – Sindhupalchwok district, 80km from Kathmandu and 10 solar lanterns to Bandeli village – Kathmandu. Mali Solar Power and Cooking was proposed by the Soroptimist Alliance Club, Timbuktu, Mali, through Soroptimist International of Europe to provide 20 Households Koriome with solar power. Commencing in April 2016, with a budget of £19,000 and working together with Sunfire Solutions, solar cookers were delivered to 20 households in Kriome, some 18 miles from the town of Timbuktu. Additionally, solar lighting was provided to all 20 households and the project is now up and running. The aim is to help reduce wood burning as fuel by 50%, thus limiting deforestation; create revenue generating activities for the women in Koriome; improve the educational results of local school children by equipping them with light and power for studies; and to improve security by 50% with the electrification of dwellings in key strategic points.